how to re format checks for bookkeeper program for 2011? The date, employee name, amount are in the wrong spot and account number/check number are completely missing. What courses in college must you take to become a bookkeeper? 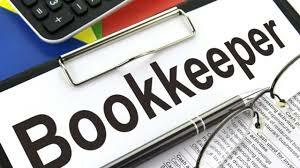 Should the same person be the bookkeeper, accountant and treasurer? About all the experience I have in bookkeeping is paying my household bills and balancing my checkbook. I've had no formal training or any education in the accounting/bookkeeping world - and there's no real time to get any (at least not and keep the recent Office/Business Manager position I've just landed). I was hired for my expertise in other areas. The bookkeeping is a part of the job so now I'm a bookkeeper. Anyway, no training; so, I'm dependent upon catch-as-catch-can self-instruction, the library, and the Internet. I hope I'm going to be overjoyed that I found your site. Right now, I just need the basics - as simple and freshman as that might be - I just need to understand the GAAPs (the old "yes, that's a debit but it doesn't mean what you think it does" - and, "yes, that's a credit, but it doesn't mean what you've been taught all of your life that it means") - all of the "basic" courses/books I've found start off with "of course, you already know about Debits and Credits and Cash Flows and General Ledgers" - to that I say "NO I DON'T !!!" - I need something that will start off with "this is a 1", "this is a 2", "and this is a 3". Can, or is anyone willing, to pass along some direction?